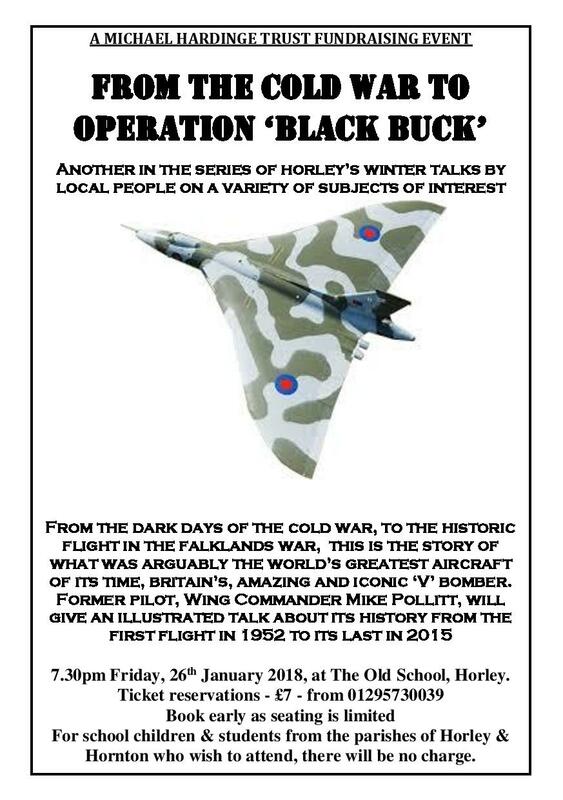 The Michael Hardinge Trust are holding another fundraising talk at the Old School on Friday January 26th at 7.30. Tickets are £7.00 and can be obtained by contacting Mike Patching on 01295 730039 or by email at mike.patching@btinternet.com . School children and students from the parishes of Hornton and Horley may attend free of charge. This entry was posted in Activities and tagged Michael Hardinge Trust, The Old School, winter talks on November 14, 2017 by thehorleyviews.